Read and Listen to Interview at Assay: A Journal of Nonfiction Studies Fall 2014. Read and Listen to Interview at WNIJ. Read the interview of Kelly Daniels conducted by Jeff Ignatius. Read the review by Jody Keisner at Isthmus. Read review by Paul Wilner at Zyzzyva. Read Kelly Daniel's new story, "Martini's Law," in Fifth Wednesday Journal. The story, an underwater thriller, has been adapted from his current novel in progress. "When Kelly Daniels was in the ninth grade, his surfer dad came and picked him and his younger brother up from school. He had an announcement: He had shot and killed his cousin during an argument at an airport bar, while in a drug- and alcohol-fueled haze...."
Arts and More, Interview on WMUK. Read what Publisher's Weekly has to say about Cloudbreak, California. Karen Mulvahill reviews Cloudbreak, California on ForeWord Reviews. 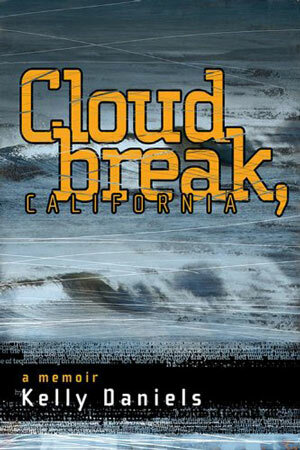 Read the Booklist Review of Cloudbreak, California by June Sawyers. Augie Minute with Kelly Daniels on Cloudbreak, California. Author Kelly Daniels shares some of his motivations and some background for writing his memoir.